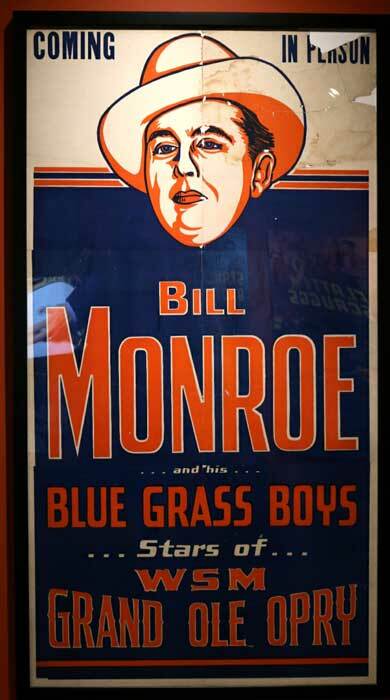 Bluegrass Music Hall of Fame & Museum is Open and Ready for Your Visit in Owensboro, KY.
A poster of Bill Monroe, the father of bluegrass, and Ralph Stanley’s famous banjo, are featured in an exhibit chronicling the history of the music. 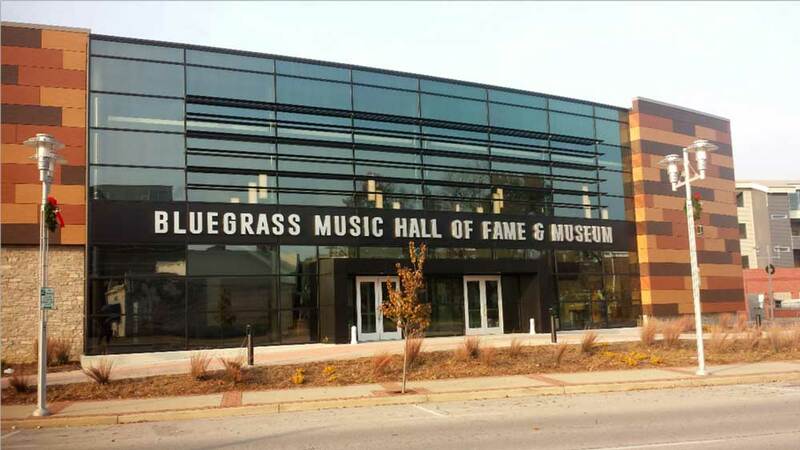 This Ohio River city has a stunning new attraction near hotels and the convention center. After years of fundraising and planning, what many considered an impossible dream has become a reality. The beautiful, new building began welcoming visitors on October 18th. 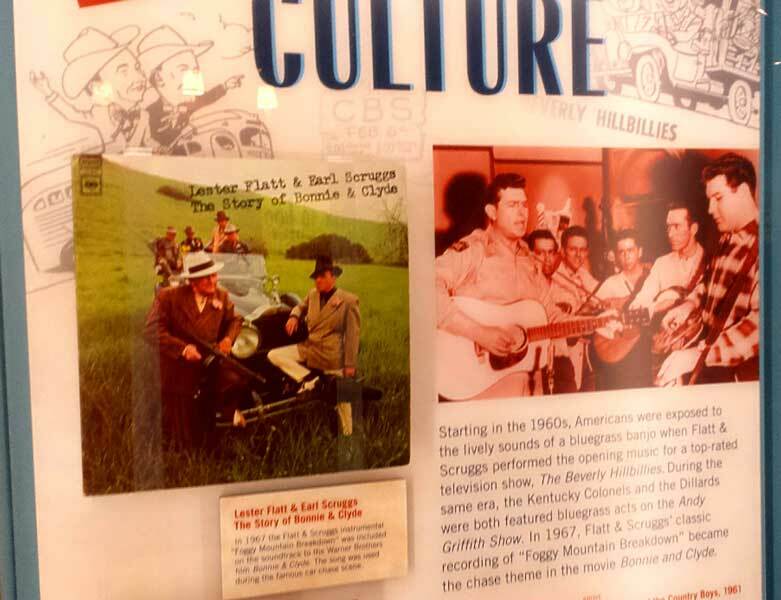 There is a modern 450-seat theatre, exhibits telling the story of bluegrass, a large lobby, gift shop, and more, including an outdoor stage and grassy field. 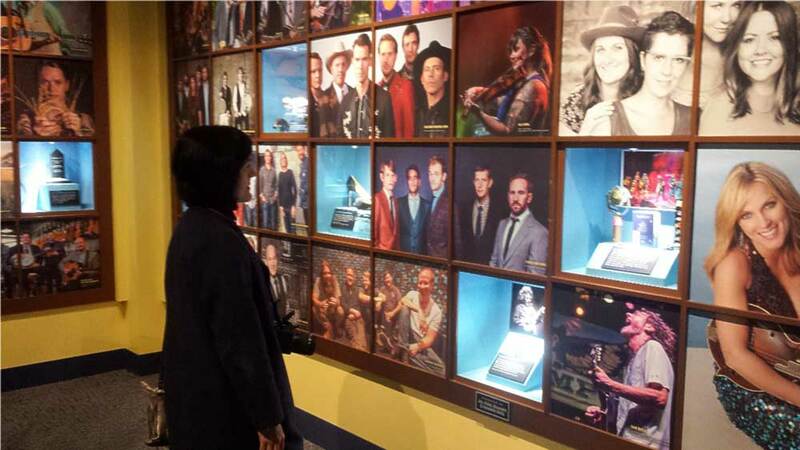 Here are some of the snapshots from our November visit. 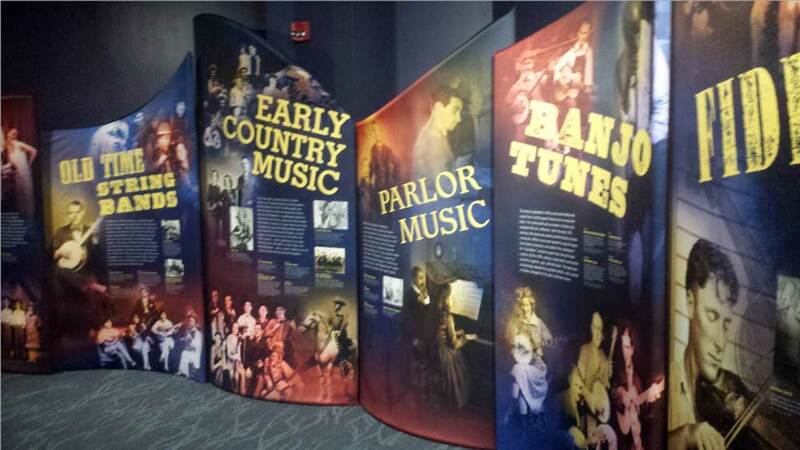 The Bluegrass Music Hall of Fame & Museum at 311 W 2nd St, Owensboro, KY.
Exhibits include displays on the myriad roots of bluegrass. 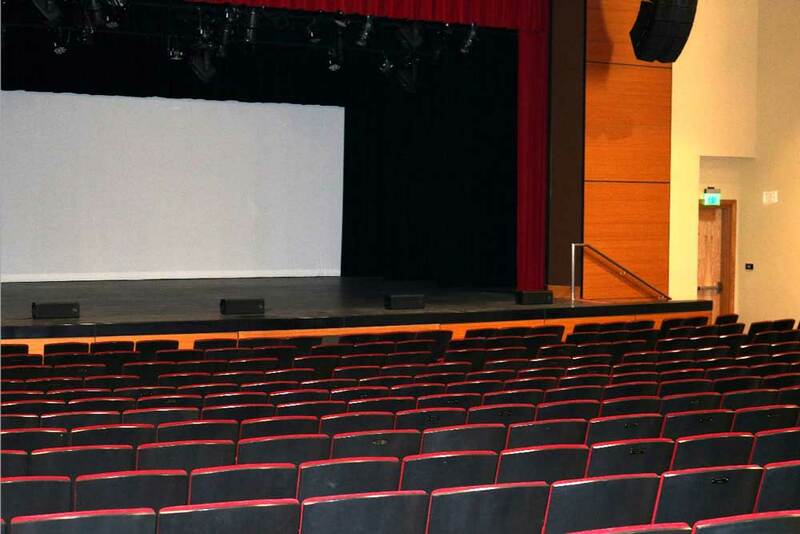 The Terry Woodward Theatre is a fully equipped venue for music concerts and film screenings. 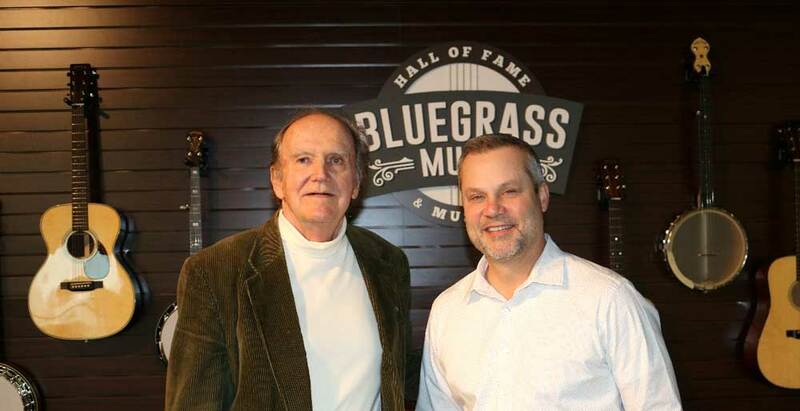 Albert Ihde meets with museum Executive Director Chris Joslin to discuss plans for the premiere of the high-definition, digital restoration of Bluegrass Country Soul. 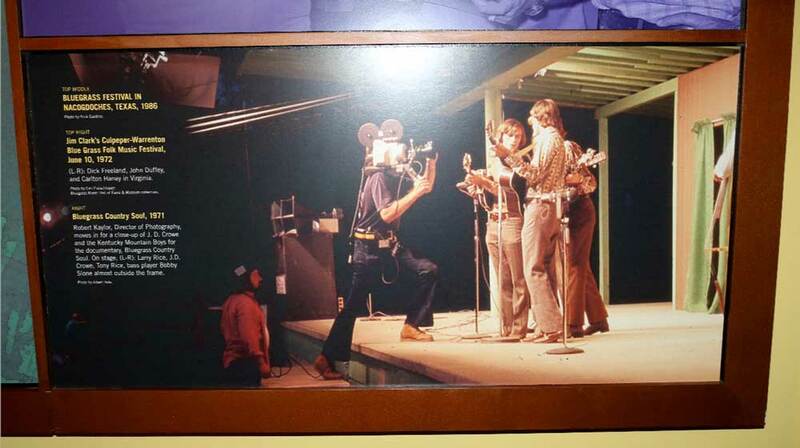 Bob Kaylor films J.D. Crowe & The Kentucky Mountain Boys in this production photo from Bluegrass Country Soul. 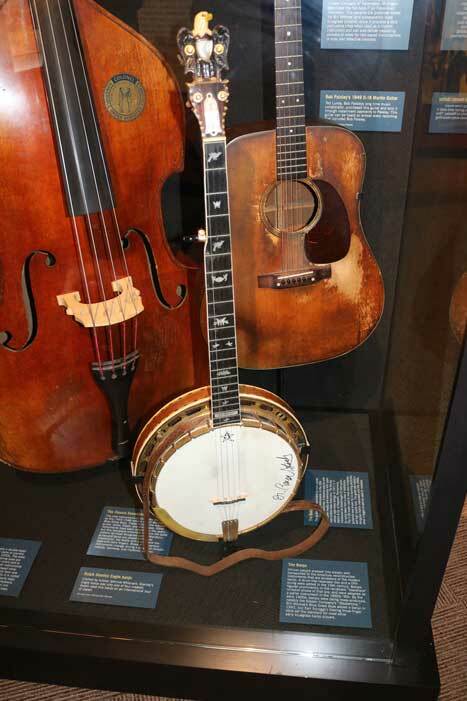 Part of the exhibit showcases contemporary bluegrass artists and their awards. “Foggy Mountain Breakdown” was used in Bonnie & Clyde (1967) and received universal recognition and acclaim. 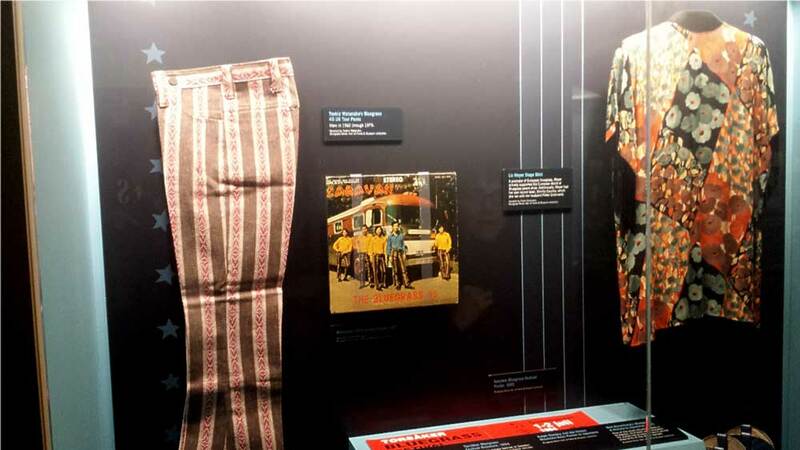 On the left in this display case is a pair of the striped trousers that the Japanese group, The Bluegrass 45, wore on their American tour when they appeared in Bluegrass Country Soul.